This week we welcomed our new volunteer, Mia, to give a hand in our community garden. It is happy to see our sustainable ideas and work have been known by more people. Gardening has the magic to bring people together, and thanks to the enthusiastic volunteers, our garden has become healthier and beautiful. Our weekly task for garden maintenance usually started with removing compost. Compost is essential to our productive garden and it needs regular maintenance. It is made up of leftover fruit and vegetables, papers, barks and leaves. 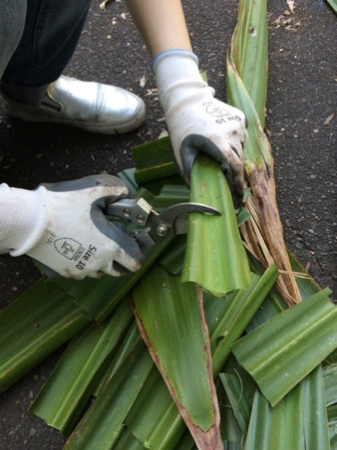 We also chopped the unwanted stems from Fan Palm and Pawpaw to make the compost juice. They need to be augured to get mixed with air and settled in regular temperature in order to decay. During a few weeks the mixture will be decayed and formed the soil texture, which is the nutritional fertilizer for plants. Luckily, the compost on Myrtle Street has become better under the help of volunteer and neighbors. 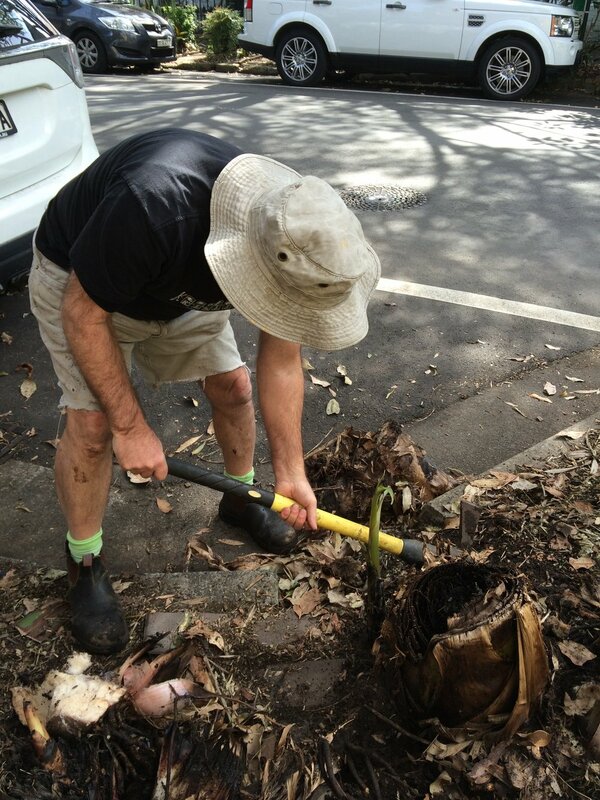 We also removed the banana tree on the verge garden opposite to Peace Park. Because each pseudo-stem of banana only fruits once, their root system constantly puts our suckers that form new plants to replace the dying part of plants. The extensive root system of the plant keeps spreading and sucking the nutrients, which made it aggressive to the surrounding herbs and trees. With sharp shovels, secateurs and lots of energy we dug out the mushy roots, trimmed into small pieced and put in the compost bin. It is amazing that plants never give up to survive. It is their nature to take care of themselves as much as possible. In order to make the garden sustainable, we should not only look at individual plants, also we need to make sure the lives in garden are balanced as a group. Thus, it is our job to organise the plants in a productive and healthy way. Being sustainable is to respect the cycle of life. During this 3-months volunteering, I have seen the strong connections between our life and the life of nature. Living in the city we sometimes ignored this ligament that human being shall always live with nature. Things we did will subsequently impacts every part of the cycle, and it is going to influence ourselves as return. We have to be very responsible and considerable to the decisions we make. 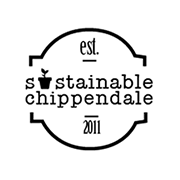 The good decisions can be as simple as putting leftover food in compost, harvesting rainwater for drinking, recycling the waste water for irrigation, growing your own food from seeds…Being sustainable will benefit both of nature and us.